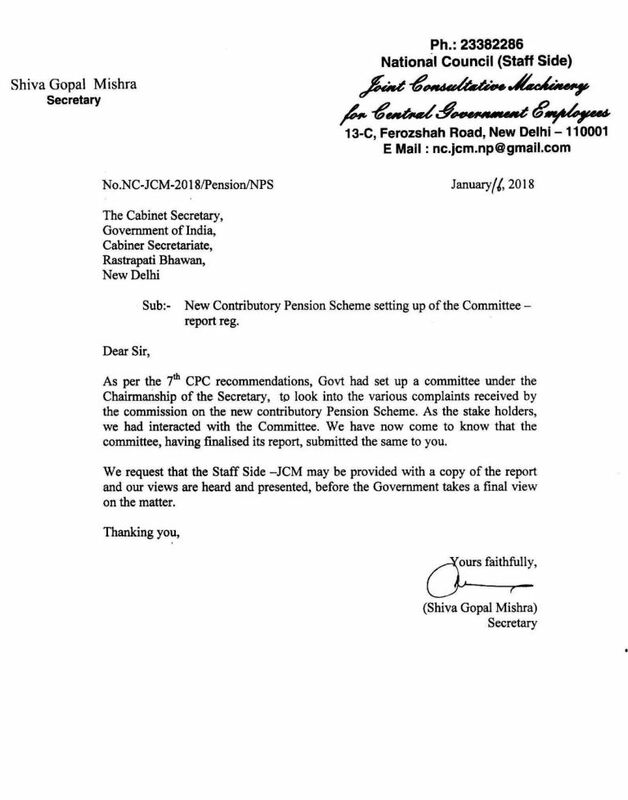 Sub : New contributory Pension Scheme setting up of the Committee- report reg. As per the 7th CPC recommendations, Govt had set up a committee under the Chairmanship of the secretary, to look into the various complaints received by the commission on the new contributory Pension Scheme. As the stake holders, we had interacted with the committee. We have now come to know that the committee, having finalised its report, submitted the same to you. We request that the Staff Side – JCM may be provided with a copy of the report and our views are heard and presented, before the Government takes a final view on the matter.